Body – A local business needs to focus on attaining high local search engine rankings. This helps to make them more visible among their prospective audience which, in turn, allows them to gain more local traffic. So, to rank in local search, it is necessary to optimize your online presence, but that is easier said than done. In the last few years, local search ranking factors have altered significantly, and this is making it challenging for local businesses to rank high on search engines for their chosen keywords. Nonetheless, it is not an impossible task. There are specific things that a local business can do to ensure they get ranked high and enjoy the fruits of those rankings. Let’s face the facts. Keywords are important. After all, they help prospective customers find your website. So, choosing the keywords is of utmost importance if you want to rank high in local search. However, rather than choosing keywords randomly, sit down and think about the phrases that your target customers would use find the product or service you are offering. Remember, jargon is out as a layperson will not use it run a search. Even the city you are target is a keyword. So, mention the city name in two places in each webpage. In addition, it is necessary to use the keywords in the webpage title, meta description and meta tags. Also, use just those keywords that have a high monthly search volume to ensure optimal results. There is nothing more important for high local search rankings than Google My Business (GMB). When people perform a local search, they are always presented with the Google Three Pack. Initially, Google used to show the top seven local businesses for the associated keywords. However, now just three businesses are shown to searchers. Hence, it is necessary that your business website pops up in the local three pack to boost traffic, and the only way to ensure this happens is by claiming your Google My Business listing. Your GMB listing is like a mini-website for free. It increases the likelihood that your page will show up in local search results for the keywords you are targeting. The best part about GMB is that the results are available across all devices and your listing will also be shown on Google Maps. You need to follow specific steps to claim your GMB listing, but it is worth the time and effort you put in. You have to be the owner of the business to claim and verify the GMB listing, and this take about two weeks’ time. Thereafter, you can manage your listing with ease. 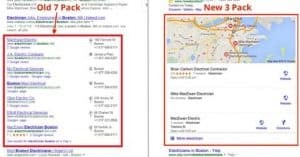 Make sure you connect your Google My Business listing with TribeLocal for exceptional analysis of how your target audience finds your business on Google and the steps they take after they find it. The insights offered can be invaluable and help you boost your local search rankings. Do remember that your business NAP (name, address and phone number) should be consistent across the internet. And, always use a local phone number as it will prove to Google that you are a local business and not masquerading as one to get ranked high in SERPs. Local search rankings are highly competitive as there are many businesses vying for customers within a limit geographical region. Hence, to make sure your business website appears high in search engine results, add local flavour to your content. Try to connect your local area with your business. You can do this by ensuring you maintain a blog, which is vital for local businesses. Focus on local news, events and activities. If you like, you can also mention promotions going on in the local area or the city. 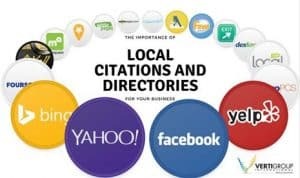 Try to connect your business with everything local and this will ensure you get found in local searches more easily compared to your competition. The days of Yellow Pages are over. Today, people check out online business directories to find what they need. Hence, you should ensure you list your business in online business directories. Focus on niche and local business directories, though you can even add your business NAP in national directories. Citations help you in two ways. First, Google views business directories favorably. Hence, it is common for directories to rank high in SERPs. This increases the chances of your site being viewed by searchers. Also, business directories that rank high are coveted for the backlinks they offer websites. However, to ensure you benefit from citations, make sure your business NAP is consistent across all directories. Use TribeLocal to create, update and monitor local citations across 100+ local, niche and national business directories from a single dashboard. Use these measures to ensure you rank high in local search. These are simple, free ways to leave your local competition behind.